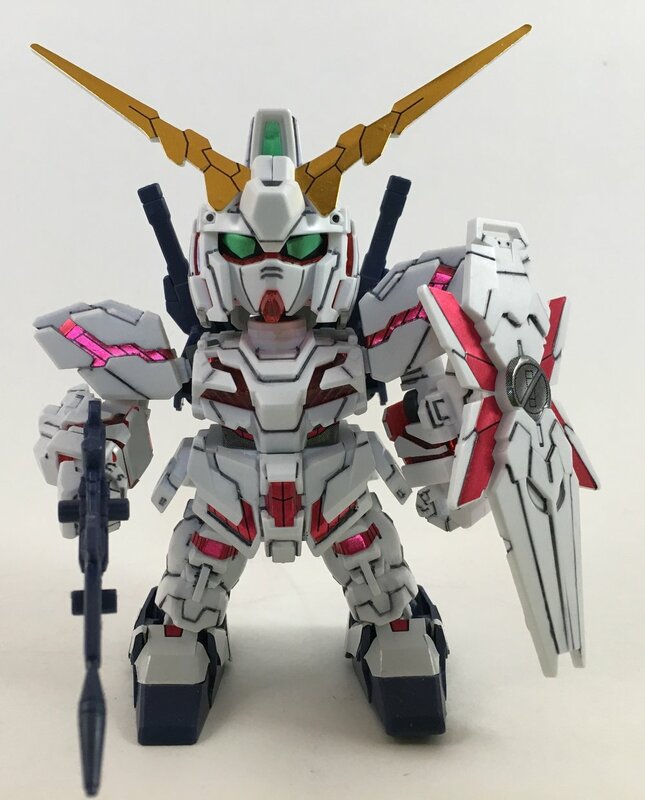 I present to you the SD RX-0 Unicorn Gundam [Destroy Mode]! This little guy was a breeze to build and served as my practice kit for learning to use a panel line marker. I went WAY overboard with the panel lines, but I like that look on these tiny SD kits. It was good practice cleaning the lines too. Don't let its looks fool you, this guy ain't messing around! Ugh, that seam line on the head is BEGGING for some glue! What's that over there Sophie!? Ok, I hope you enjoyed those. If you've never built an SD kit, you totally should! They're a blast, and great kits to practice new skills like panel lining, seam line removal and even painting! Until next time, keep building!